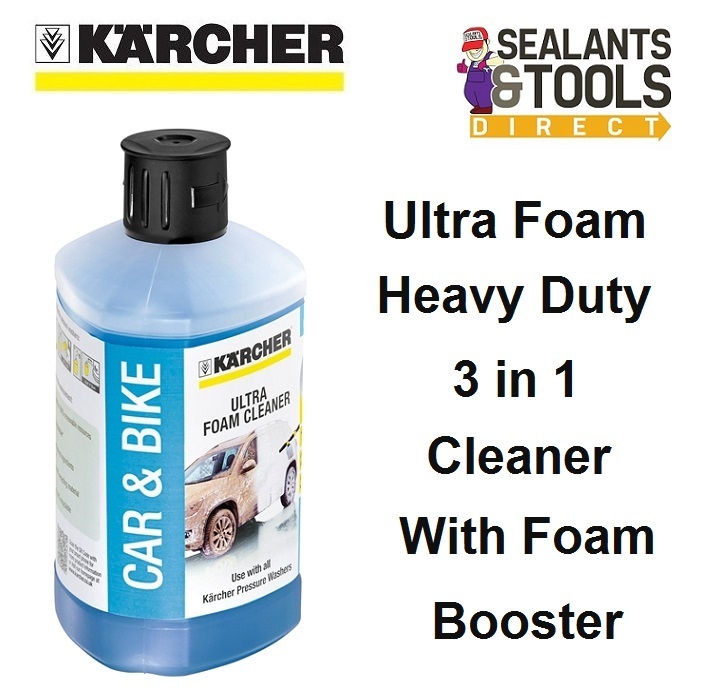 Karcher 3-in-1 car cleaner with extra foam booster for an even deeper clean.. Suitable for use with all Karcher pressure washers and most other makes. Active Dirt Dissolver Great at dissolving dirt. Extra Foam Booster gives thick coverage and an active cleaning performance. Ideal for use on cars bikes motorhomes boats etc. Can also be used by filling existing Reservoirs, Plug and clean, and can be used with a suction hose etc. Complete range of Karcher Equipment & Accessories.